Le Boyfriends new company were kind enough to rent us a short-term apartment when we first arrived which meant we were pretty much sorted for the first month but we only a couple of weeks to find a new place. I can happily say that we found one (hours before our Airbnb expired) and we’ll be moving soon. 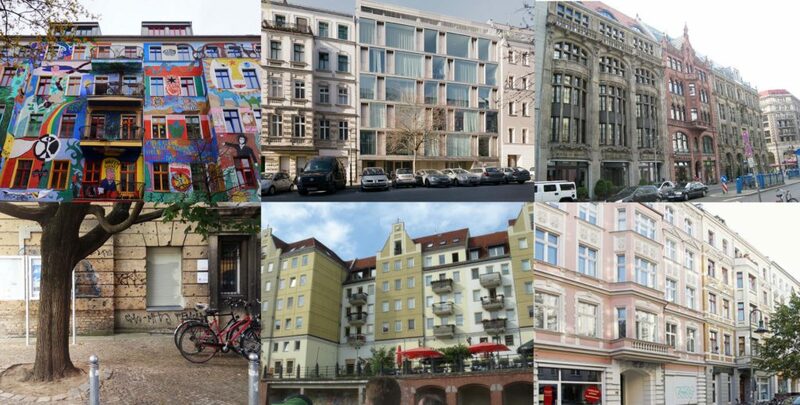 But the experience was a so different to the one in New Zealand that I though I’d make a little list of things to take into consideration when renting an apartment in Berlin. When looking for an apartment, chances are you are going to see two prices for it which are called Cold and Warm rent, respectively, one is the net price of the apartment on its own and the other is the final price that includes heating, cold water and extra cost (such as building management). Sometimes you’ll see apartments that have a super cheap cold rent but then the warm rent goes up a couple hundred euros. Also Germany has a rent index, which mean that there is an average amount rent per M2 per neighbourhood and its ‘illegal’ to go over it. Which can be very helpful when checking if you are being changed accordingly. You can check each neighbourhood for 2016 here. Berlin is one of those cities that was really hit during the wars, which means that some of it’s beautiful buildings were destroyed and had to be build quickly again. Plus it has a huge alternative community which seems to love street art. What I’m trying to say is, some of the buildings may not look appealing or won’t have that cute european look, but most of them were completely refurbished inside, which means you can find amazing apartments in buildings you wouldn’t turn to look twice. Also is worth to note that most of them don’t come with elevators. It’s not a lazy thing, just picture yourself carrying furniture over 6 flights of stairs. Berlin apartments tend to come completely unfurnished. Unlike New Zealand, where you can find furnished or apartments with white ware (kitchen, fridge, washing machine), Apartments in Berlin come completely empty, with no kitchen or electronic and sometime not even with light bulbs. So if you go to a viewing and you see a kitchen is worth to ask what stay and what goes when you move in. On the bright side, in Berlin you’ll find heaps of flea markets to buy furniture and of course Ikea, which is a great place to find cheap but cool looking furniture. I’ve heard this one before, but I didn’t truly believe i until I went to my first viewing. I arrived there early so I was on my one, then someone else came, and someone else and suddenly there were 56 people waiting to see the apartment (I counted them) and I keep happening in other viewings, we were queing to get to the apartment. So, be patient and be prepared, sometimes you’ll loose a place just because someone was a fraction faster. Get photocopies of all your paper and contact details and be prepared to hand it over straight away. Im talking Nigerian prince trying to give you free money kind of scams. You’ll probably see beautiful apartment, completely furnished for just a couple of bucks. Or places which are actually Airbnbs and someone stole their photo, or really nice, super normal places. Just be aware that sometime people will post things online just to make a buck, never pay upfront unless you are signing a contract. I received (the same email actually) from 2 different places, saying that we sounded like a nice couple but the owner couldn’t go to the meeting because he was in London or something but if we paid half of the deposit right away he would send me the keys to take a look at the apartment. Luckily the website which I was using is constantly looking for these scams and try to take the out as fast as possible. But just in case…if it smell fishy…. Extra tip: Dress to impress – Chances are the place is going to be packed and you won’t be able to have some quality face time with the property manager. But just in case, treat your viewing as job interviews, dress up nicely, you want to make a good first impression and let the person renting know that you are a ‘trust worthy person’ who is not going to destroy their apartment.